Today, linked in is one of the most important sources to find a job or an internship as well as networking with other members in your chosen industry. As a resume is a marketing strategy to deliver your own brand, LinkedIn allows you to deliver your marketing message efficiently on a virtual platform. LinkedIn is one of the most powerful and largest active professional network available, with more than 225 million members. You have heard the clichés surrounding love, dating and relationships from friends and family. They may not always be true or relevant to the situation but you would be surprised at how relevant they can be to the sphere within PR. What may not apply to love can be applied to the PR world. Here is how the most overused clichés can radiate to PR. Finding the perfect partner is already a struggle. Why bring work related stress into your relationship? Give your relationship a break and land the dream job. LinkedIn suggests that work related stress is the major problem in majority of relationships. Therefore by wooing the recruiter it could relieve the stress off you relationship to make room to woo your partner. These are the top tips from recruiters that can help you impress and score the job published by LinkedIn. The cover letter always accompanies the resume when applying for a job and it is just or even more important than the resume. It allows the company or employer to understand the attributes you can deliver to the job as it provides more information than the resume. The cover letter needs to cover all bases and here’s how to do it. The resume is the key ingredient to get an employer to notice you in hopes for landing that dream job or internship. It therefore has to be done to perfection to stand out from the crowd. The purpose of a résumé is to get you an interview and to communicate your message as clear and as fast as possible. Here are 12 of the most useful and important tips that will allow you to gain the attention of a potential employer. Everyone seems to think that the plan to get where you want to be, career wise is linear. It has to be a straight line to success, doing everything the textbook way in organizing and planning your career. Unfortunately there is no straight and narrow line when it comes to finding the right path to take for you and your career. No signs saying go this way and no lit up path. As there are so many options and so many situations that are beyond your control that determine job opportunities and possibilities, the best one can do is take the opportunities that present itself without being overly committed and dependent on one path. Landing an interview is a great accomplishment after working so hard on your resume and cover letter. 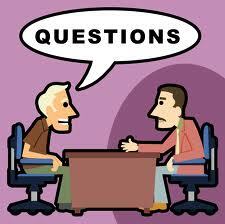 The interview is the opportunity to secure the job which is the ultimate aim. Therefore, you need to prepare for the interview wisely. It is extremely important that you prepare effectively for your interview that way you are not blindsided by any questions that come your way. The last thing you want to feel is uncertainty or awkward within an interview. So preparing wisely can prevent this. Write a list of your strengths, talents and abilities that you can bring to the position. Read over the job posted and what they require. Tailor your skills and abilities to meet these requirements as a mechanism to secure the job. Write these down as a strategy to remember it for an interview for an effective response. Some people believe that you can broaden your options and build your mind with positive thinking, which makes you successful, which in return makes you happy. More of life’s possibilities occur when you allow yourself to see a broad selection of opportunities rather than limiting yourself to a few options. Opening your mind to possibilities are enacted through positive thoughts which allows you to build upon your skills. This can create real value and growth within academic and work life, which allows you to broaden your options and build further upon your skill set. Do Australians know the fiscal benefits of international students to their own economy? WHAT am I supposed to do and WHO am I meant to be? Vol 4. Iss 3. No 5_WHAT am I supposed to do? In a world full of options, it can be challenging to discover your passion. There’s a lot of talk about passion these days. All of sudden we don’t get out of bed to go to work, we don’t even go to work to work, all is supposed to be guided by what we feel passionate about. But how we feel, only matters to ourselves, it is what we do that help us discover our passion. Although I often spend my time reading about peoples passions and motivations, I also come across young people who have no idea what they are supposed to do or who they are meant to be. They are completely confused. They have accounting degrees but passionate about marketing, they have law degrees passionate about journalism, they have arts degrees passionate about engineering. Listening further to these kids I hear the all too familiar story about shattered dreams, lack of belief or confidence, or endless pressure to do what we think parents or society want us to do. Getting fit, starting healthy eating habits and getting your personal finances on track are among the New Year resolutions for many Australians. But, often, as the months pass by these resolutions are forgotten. However, if you made a resolution to improve your finances this year, our simple and practical tips may be just what you need. Get into the habit of maintaining a household budget. Spending more than you earn can quickly land you on the rollercoaster of debt, so make a promise to start living within your means. There is a budget planner calculator at amp.com.au/calculators which can help or we can provide a more personalised service for you. Do you really need the $100 per month pay TV package? Or the latest model car? Knowing what suits your needs is key to managing your money better. Remember, it’s a trade-off between what you have today and your long-term wealth. Interest rates on credit cards are sometimes as high as 20 per cent or more, so it’s important to pay off credit card debt quickly and within the interest-free period. To do this you will need to make more than the minimum repayments each month. Also consider rolling different credit card debts into one low-interest bearing loan facility. As a contingency for life’s unexpected expenses, it’s vital to have an emergency fund or access to cash through a mortgage redraw facility or offset account. Try to have at least three months’ salary in savings. After sending out a dozen resumes and filling out countless applications, you will finally land your first interview. Keep in mind that your resume is there to get you the interview and your interview is there to get the job. If the aim of the interview is to get the job, you need to keep this in mind when you go and prepare for total success. DIA host a workshop where we train and prepare interns for job interviews. We do a practice interview, go through typical interview questions and answers, and have fun working on impressive and interesting techniques to land the job. DIA love being the first to congratulate a successful candidate! Call us when you land the job and receive a free gift. It is exciting to both perform and prepare for your interview, and it is also very important to focus and prepare properly beforehand so that you do your best. People do internships for various reasons. The first thing you have to do is to establish why YOU want to do an internship and what you aim to get out of it. If you want the Host Company and DIA to meet your expectations, you need to be clear about what you want and why, and what effort you yourself have to do in order to reach those goals. If you are unsure why you are doing an internship, then let DIA know ad we can help you set goals to reach. An internship is different from a full-time job, however the Host Company aims to treat you as a fellow employee at the same time as teaching you about industry specific practices work with you and help you make the most of it. It is however your own responsibility to make sure you get as much as possible out of the internship and also to get the most value to meet your set goals. An internship can be many things depending on the intern. It can be a leap year to take a break for studies, it can be the pathway to a new career, it can be language training, it can be to expand on industry specific studies, it can be a working holiday or it can be a an easy way to convince your parents to let you go overseas. In order to make the most of your internship, and to justify the time you spend interning, you must realize that the entire process is essentially an extended interview for a full-time position be it in the interning company or somewhere else. You never know who your supervisor or coordinator may know and what they say about you t others, so make sure you are polite, enthusiastic and interested. But most importantly, you should have fun while you learn and meet new people. DIA and all supervisors provide all interns with references of the internship and a Certificate of Achievement. It is a competitive job market but there are plenty of jobs out there, so all you have to do is give it your best! Your resume only has 15 seconds to make an impression, so make them count. Recruiters sift through thousands of resumes swiftly and have no time to dwell on each resume indetail. You must craft a resume that grabs attention and creates a lasting impression. Your resume should present concrete reasons why you should be hired and it needs to be clear, easy to read, and consistent. It can also be a powerful companion to the talents you’ve worked so hard to develop. All the more reason to create an image that can help you succeed in your professional and personal life. That means the right wardrobe, mannerisms and communications skills. Here are some business etiquette tips for you.